On Monday, the Student Foundation kicked off their Spring 2018 K-State Proud Campaign Week! As they have for more than a decade, members of K-State Student Foundation and K-State Proud volunteers can be found in the Student Union collecting donations and distributing this year’s Proud T-shirts to be worn to the K-State Men’s Basketball game against Iowa State on Saturday! If you are in Manhattan this week, you can show your support by dropping by the K-State Student Union Proud table between 9 a.m. and 3 p.m. to make a donation in person and get your 2018 t-shirt. If you are not in Manhattan, there are options to order a t-shirt online or make a donation directly. 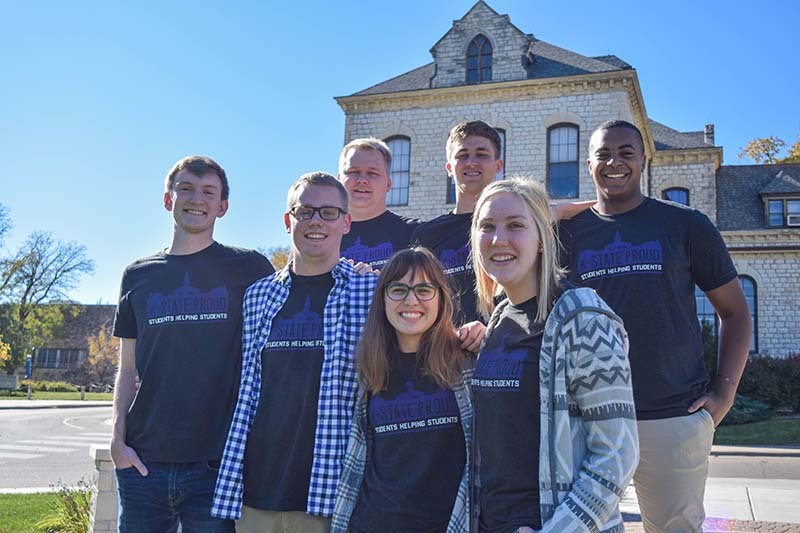 K-State Proud is a student-led, nationally recognized fundraising campaign for K-State. Guided by the leadership of Student Foundation, the campaign encourages students to show their K-State pride through philanthropy. All student campaign donations establish Student Opportunity Awards for fellow K-State students. In the 11 years of the campaign, students have established a culture of philanthropy by raising more than $1,136,506 for Student Opportunity Awards to help more than 600 students stay at K-State who otherwise would not have been able to continue their education.